FIIs were net sellers of equity during the three trading days this week. Their total net selling was worth Rs 10.0 Billion. DIIs were net buyers on Mon. & Tue. (Dec 31 & Jan 1) but net sellers on Wed. Their total net buying was worth Rs 2.4 Billion, as per provisional figures. YoY auto sales in Dec ’18 were muted. Toyota, Bajaj Auto showed double-digit sales growth; Honda, Hyundai, M&M had low single-digit growth; Maruti, Tata Motors, Ashok Leyland, Isuzu, Royal Enfield showed negative growth. Nikkei India’s Manufacturing PMI declined to 53.2 in Dec ’18 from 54 in Nov ’18, as growth in new orders and output moderated. (A figure >50 indicates expansion.) Job creation was the slowest in 4 months. The daily bar chart pattern of Nifty shows that bulls made a valiant attempt to sustain the counter-trend rally from the Oct 26 low of 10005. 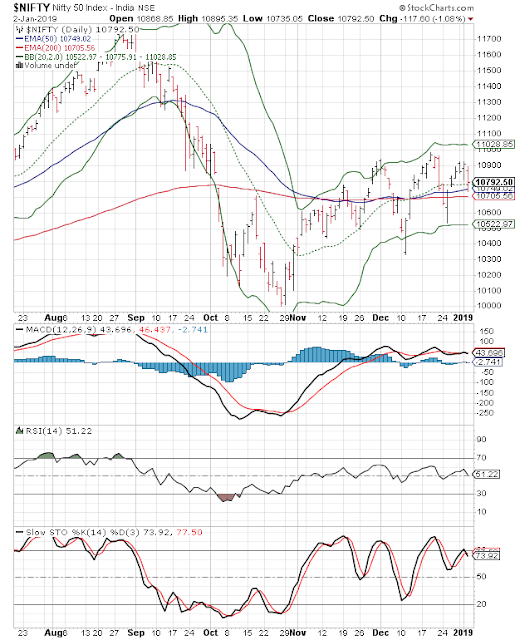 After touching a higher low of 10534.50 on Dec 26 and bouncing up from the lower Bollinger Band, the index rose to a lower top of 10923.60 on Jan 1 ’19. 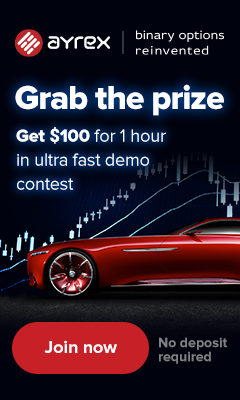 Sliding volumes (not shown) during the previous three trading sessions provided bears a good opportunity to attack – which they did with a vengeance today. The index slipped below its 50 day EMA intra-day but recovered to close just above its 20 day SMA (‘middle band’ marked by green dotted line). Daily technical indicators are looking bearish to neutral. 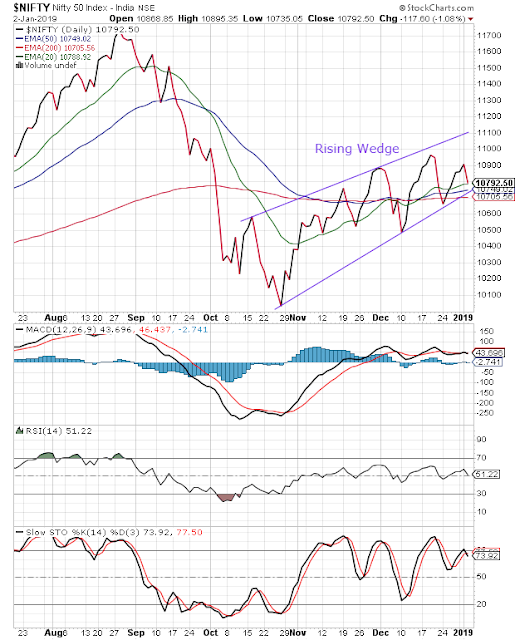 MACD has slipped below its signal line in bullish zone. RSI is seeking support from its 50% level after moving above it. Slow stochastic is falling after facing resistance from the edge of its overbought zone. Nifty’s TTM P/E is at 26.0 – which is much higher than its long-term average in overbought zone. The breadth indicator NSE TRIN (not shown) has emerged from its overbought zone – hinting at near-term index downside. The index closed above its three EMAs in bull territory, and is seeking support from its 20 day EMA. However, Nifty is on track for an expected breakout below the ‘rising wedge’ pattern. Global stock markets are either correcting or are already in bear territories. It is only a matter of time before Nifty follows suit. A correction below the Oct 26 low seems increasingly likely. Small investors need not panic and sell. Let your asset allocation plans decide the next course of action. But be prepared for a bumpy rise during the next 6 months.